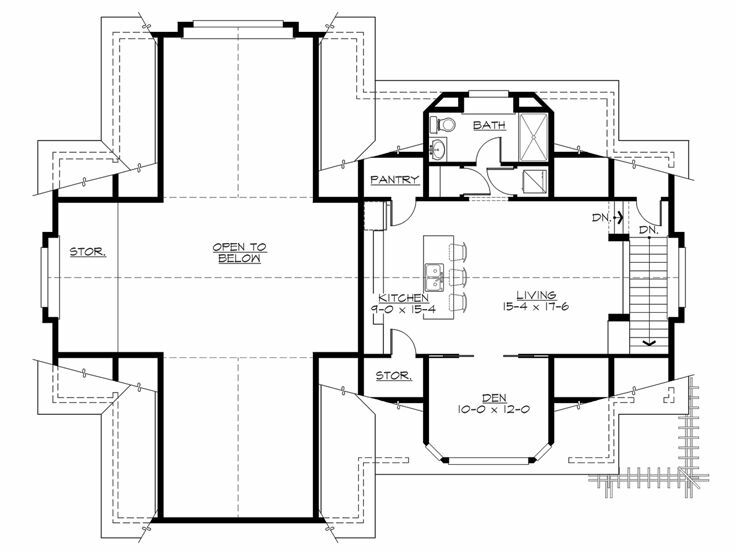 First Floor 68 sq. 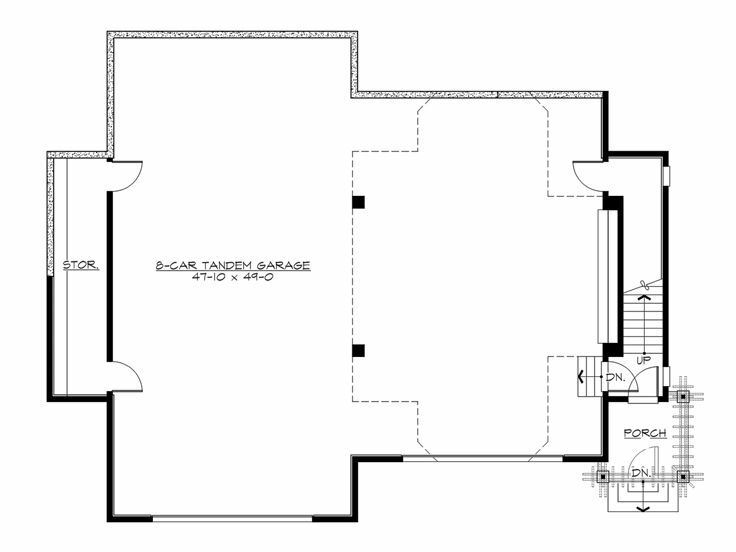 ft.
Second Floor 792 sq. ft. Depth 49 ft. 0 in. 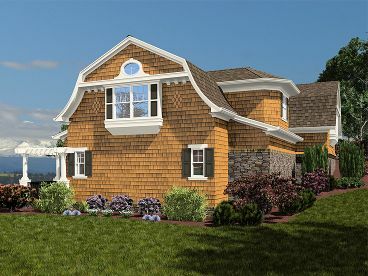 This Craftsman-style RV garage plan offers parking for eight to 10 automobiles or it works well for RV and boat storage. The extra-deep tandem bay offers a 16x16 overhead door neatly accommodating your home on wheels. 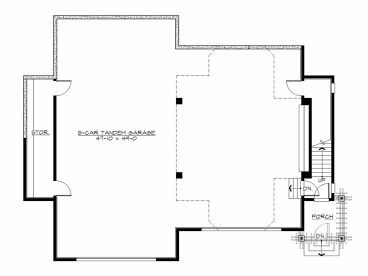 However, auto enthusiasts will find the RV bay quite attractive for sheltering restored vehicles and prized sports cars. But don’t be fooled, fishermen and boaters will find this design attractive as well. The shorter bay offers a 16x10 door and works well for boat storage, jet skis, canoes, kayaks and more. 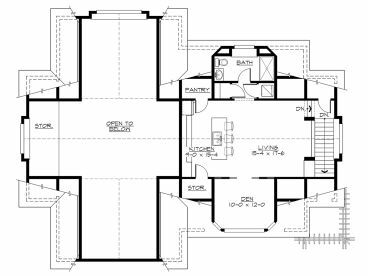 Don’t miss the second floor living space, it is ideal for an office for a home-based business or it works well as a cozy garage apartment. 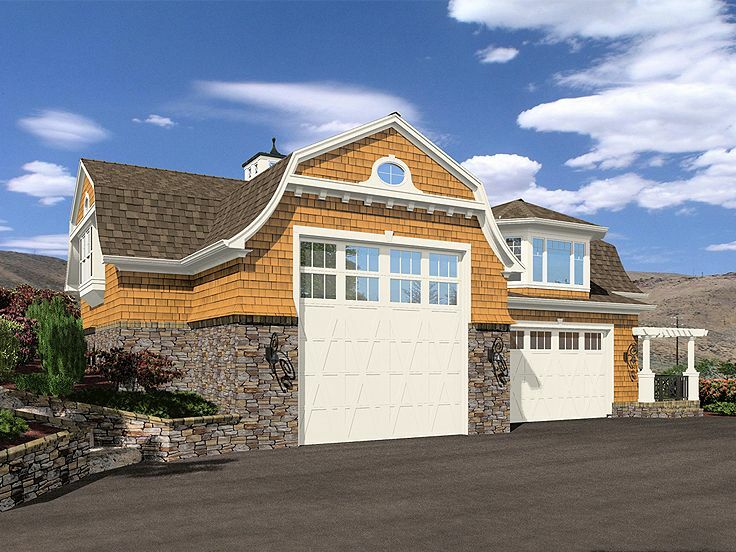 Add parking and living space to your home with this thoughtfully planned tandem garage plan! If planning to build this garage plan in the state of Washington, please contact The House Plan Shop for ordering information.